Mobile commerce has begun to carve out a significant niche in the financial world. EMarketer estimates that the industry will be worth $2.774 trillion in 2018, making up an estimated 11.6% of all retail sales worldwide. The technology is continuing to improve, further fueling this explosion in a new form of commerce. The rise of Bitcoin and its associated cryptocurrencies has brought with it a slew of startups that are attempting to apply the technologies undergirding these coins to everyday commerce. Because of estimates that the mobile commerce industry will nearly double in only 4 years, this industry is one investors will certainly want to keep their eye on. As the technology powering these transactions continues to develop new and interesting solutions for mobile commerce, here are 6 trends you should keep your eye on. Cryptocurrencies and the blockchain technology behind it were some of the biggest stories of this past year. Investors made millions trading the digital assets, bringing widespread interest and investment into the industry. Outside of crypto, blockchain technology offers the possibility to transfer information quickly and securely thanks to a decentralized ledger that is powered by smart contracts. Since blockchain has an edge in both security and speed when compared to traditional types of monetary transfers, expect the technology to have a major impact on the mobile commerce industry. New advances in technology have allowed new types of security measures to be implemented in mobile commerce platforms. For the first time, this puts the industry in an situation where users trust the platforms as they would concrete establishments. Millennials are digitally fluent, making them unafraid of secure platforms that would have scared off older, “digitally naïve” consumers. With the possibility of further security through blockchain, expect that trust among mobile consumers will rise considerably in 2018. While in the past many online shoppers bought products over the internet through their desktop or laptop, many consumers have begun to embrace smartphones as full-on replacements to personal computers. As smartphones become cheaper and easier to access, websites will have to adapt to the growing community of users who only view their sites on mobile. 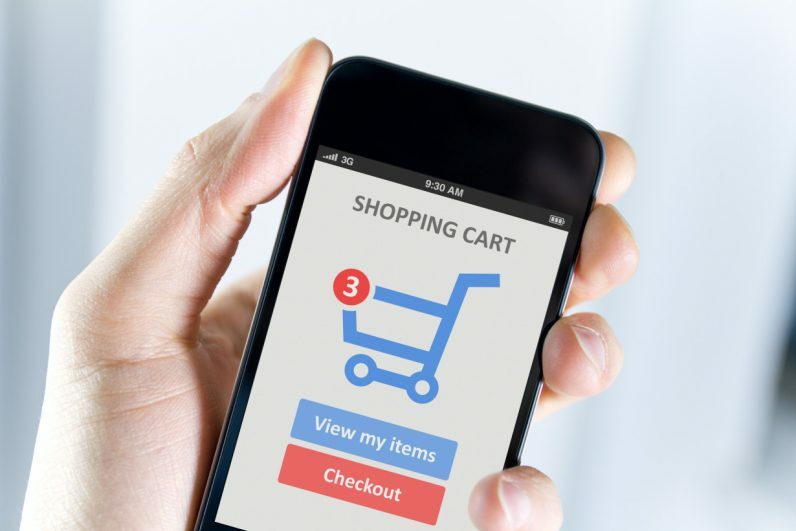 In order to compete in the mobile commerce market, companies will need to adapt their websites and make them mobile friendly. Sites that aren’t will be ignored by millennials, who can quickly find an easier-to-use platform. While the concept of a digital wallet has been around for some time, only recently, as millennials have grown up, have they become widely accepted by the public. Technologies like Amazon Pay, Apple Pay and PayPal One Touch have experienced a 10% uptick in users as a result, making integration into mobile commerce platforms a must. Combined with one-page checkouts, users have overwhelmingly embraced the performance advantages of the new tech. As artificial intelligence technology has developed to the point where applications like artificial neural networks can actually be utilized, many investors have jumped on the idea. Analysts in the industry are convinced that AI will offer increases in user metrics as the technology is able to assist users autonomously, helping them find what they want and seamlessly guiding them through the checkout process. Chatbots have been able to develop alongside artificial intelligence to the point where the technology is able to effectively help customers. In tandem with AI, chatbots are able to make online shopping experiences feel like that of a brick-and-mortar store by providing users with a well-educated assistant for their shopping needs. With AI becoming so popular and chatbots becoming so powerful, there is no doubt that it will soon be a feature of nearly every mobile commerce platform looking to market more than a dozen products. Augmented reality is a relatively new technology, and while you may not have noticed, it’s very possible you may have been a user many times. Augmented reality allows users to project all sorts of objects into their immediate surroundings. One of the most popular applications of this tech has been Pokémon Go, which made $600 million for its developers only months after release. Mobile commerce platforms can use the technology to give users the chance to place virtual furniture in their homes, ensuring that customers have an easier and more trustworthy experience. As the mobile commerce industry continues to grow, more companies are innovating in the space. A number of platforms offer increased speed and security, while others offer entirely new applications that assist users in buying what they need. With the value of mobile commerce steadily becoming a bigger percentage of the value of overall commerce, investors and techies alike should pay attention to these 6 trends in the industry in 2018.